North Korea on Sunday tested its sixth and largest nuclear device, a demonstration of power that triggered a magnitude 6.3 earthquake around the area of its test site. The detonation of what Pyongyang claimed was a hydrogen bomb capable of being mounted on a ballistic missile marks the latest show of defiance to the international community, particularly the US, amid a tense stand-off over the regime’s rapidly developing weapons programmes. The China Earthquake Administration said in a statement that the earthquake was a “suspected explosion”, adding that the quake had occurred at a depth of zero km. Both the Chinese body and the US Geological Survey measured the quake at magnitude 6.3. Japan’s foreign minister said that based on analysis by its meteorological agency and other information, “the government has determined that North Korea conducted a nuclear test”. The tremor was stronger than those created by the regime’s five previous tests, suggesting the device had a significantly higher yield. The country’s parliamentary defence committee estimated the device had a yield of up to 100 kilotons, about 10 times more powerful than the fifth test. Share on Twitter (opens new window) Share on Facebook (opens new window) Share this chart The explosion came hours after North Korea announced on state media that it had developed its most advanced, missile-ready hydrogen bomb. US President Donald Trump has made disarming the reclusive Asian nation his top foreign policy priority amid growing fears that Pyongyang is nearing the capability of targeting the American mainland with nuclear warheads. After North Korea test-fired two long-range missiles in July theoretically able to achieve that range, Mr Trump last month warned of “fire and fury” if Pyongyang continued to threaten the US. However, Bong Young-shik, an authority on North Korea at Seoul’s Yonsei University, said the regime now believed the White House’s rhetoric was shallow. 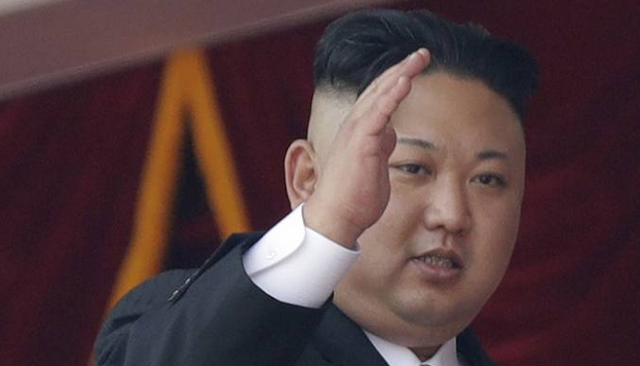 North Korea said Sunday that it successfully conducted a test of a hydrogen bomb that can be loaded into a new intercontinental ballistic missile, Yonhap News in South Korea reports. North Korea’s state-run TV broadcaster said that Pyongyang carried out the sixth nuclear test in a special announcement hours after an artificial earthquake was detected near its nuclear test site. An artificial earthquake with a 5.7 magnitude was detected at 12:29 p.m. near North Korea’s nuclear site in the northeastern area. North Korea has carried out a nuclear test in a direct challenge to Donald Trump, hours after it released images of what it claimed was a hydrogen bomb that will be loaded on to a new intercontinental ballistic missile. The regime confirmed it had conducted its sixth underground test, which was heralded by a magnitude 6.3 magnitude earthquake felt in Yanji, China, about 10km from North Korea’s Punggye-ri nuclear test site in the country’s north-east, according to South Korea’s meteorological agency. The shockwaves were at least 10 times as powerful as the last time Pyongyang exploded an atomic bomb a year ago, Japan’s meteorological agency said. The previous nuclear blast in North Korea is estimated by experts to have been around 10 kilotons. Sunday’s test – the first since Trump took office in January – offers more evidence that North Korea is moving perilously close to developing a nuclear warhead capable of being fitted on to an intercontinental ballistic missile that can strike the US mainland.